If you are a teacher, then you should already know how important it is to invest in teacher supplies for both yourself and your students. In recent times, many teachers will find themselves spending their own money on teacher supplies. This can add up rather quickly and many classrooms are notaudio visual, charts and posters, games, furniture and equipment, classroom decorations and much more. 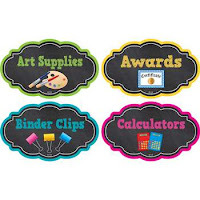 When you purchase your teacher supplies online from K12 School Supplies, you can rest assured that you will be getting some of the best deals available.